Disney hit back that the report was based on an "inaccurate and unscientific survey"
One-tenth of Disneyland employees are paid so little that they recently experienced homelessness, while two-thirds of them are unable to afford three meals a day, according to a union-funded report released Wednesday. The report, prepared on behalf of a coalition of Disneyland employee unions by Occidental College and the Economic Roundtable, contends that 74 percent of workers at the theme park can't pay for basic expenses each month and 85 percent are paid less than $15 an hour. "As Disneyland profits and prices hit record highs, Disneyland employees are falling farther behind," said Peter Dreier, a policy professor at Occidental and one of the report's authors. 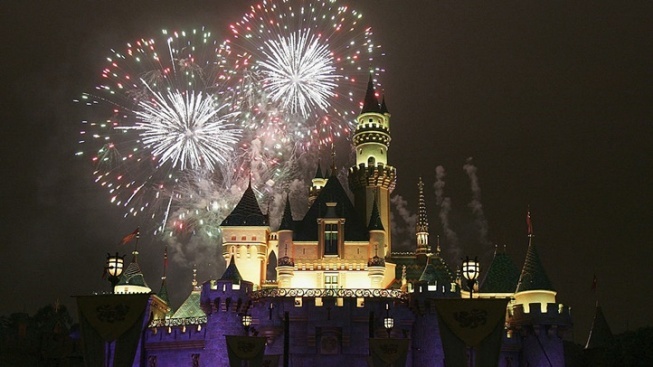 "Disneyland wages aren't keeping up with rising rents in Southern California. Our survey found that homelessness and housing instability are so widespread that they have become a normal part of employees' lives at the park. Similarly, we found it's normal for Disneyland workers to skip meals in order to make ends meet." According to the unions that commissioned it, the study — "Working for the Mouse: A Survey of Disneyland Employees" — was based on a survey of 5,000 employees of the park, which has about 30,000 workers. Disney blasted the report as a skewed survey of a small percentage of park workers, and contended it was conducted without any controls over who could respond to the questionnaire and no effort to prevent individual employees from answering the questionnaire more than once. "This inaccurate and unscientific survey was paid for by politically motivated labor unions and its results are deliberately distorted and do not reflect how the overwhelming majority of our 30,000 cast members feel about the company," Disney spokeswoman Suzi Brown said. "While we recognize that socio-economic challenges exist for many people living in Southern California, we take pride in our employment experience," she said. According to Disney, the majority of park employees make more than minimum wage, while entry-level positions range between $11 and $17.75 an hour, with most workers earning additional money through "premiums and overtime." The average annual salary of full-time, hourly employees in 2017 was about $34,000, according to the company, which noted that Disneyland created more than 4,000 jobs over the last five years — more than any other business in Orange County. According to the report's sponsors, the survey was commissioned by unions representing workers such as hair stylists, costumers, food-service workers, candy makers, security guards, ticket takers, musicians, singers and dancers. "The value of workers' pay has dropped 15 percent since 2000," said Daniel Flaming, president of the Economic Roundtable and co-author of the study. "Raising the wage floor to $20 an hour will give workers $190 million more a year to buy basic necessities for their families and it will generate $210 million more in sales by businesses in Anaheim and other communities where workers live." "It is important to note that the group that did this survey said about 5,000 cast members took the survey … so the stats that they use in the survey report represent only a small fraction of our 30,000 cast members." The reliability of the survey, which was paid for by unions, is completely in question given that there were no controls over who was eligible to take the survey or how many times they could take it and hear that people were encouraged to take more than once. (We know that non-employees could access it.) Considering the broad reach of the survey questions, there are factors that have nothing to do with their employment experience at the Disneyland Resort. We are proud of our record as a quality employer who has created more than 4,000 jobs over the last five years — more than any other business in Orange County — as well as how that invests in our cast members through a variety of measures including training, development and opportunities for advancement. We offer a wide variety of entry-level roles with starting rates from $11 — $17.75 per hour, depending on the position. For many cast members, this is a first job. The majority of our cast members make above California’s minimum wage and most earn additional income through premiums and overtime. Many of our salaried cast started in hourly roles at the resort. Last year alone, more than 2,200 Cast members moved from part-time roles to full time status, and hundreds of hourly Cast members were promoted to salaried roles. The majority of our 30,000 cast members are full-time. Last month we announced an education program for our hourly workforce in the U.S. with an initial investment of $50 million up to $25 million in annual funding going forward. Thousands of hourly employees will be eligible and can pursue qualifying higher education or vocational training, including courses unrelated to their current responsibilities at Disney. By creating new opportunities for those who wish to continue their education, employees can advance in their current roles or support their long-term career aspirations. Unfortunately, the issue of homelessness is one that unfortunately affects our entire Orange County community and we look to local governments to address this issue. As a major Orange County employer, we see our role is to continue to create jobs and support organizations that provide services to the underprivileged in our community, and we are proud to support our local nonprofits with more than $21 million in donations last year. And, over the last five years, the Resort has contributed millions of dollars to Orange County nonprofit organizations serving the homeless, including Mercy House, Illumination Foundation, Project Hope Alliance, Second Harvest, and Orange County Food Bank to name a few.